Disclaimer: The Noble Audio Khan sent to us is a sample in exchange for our honest opinion. 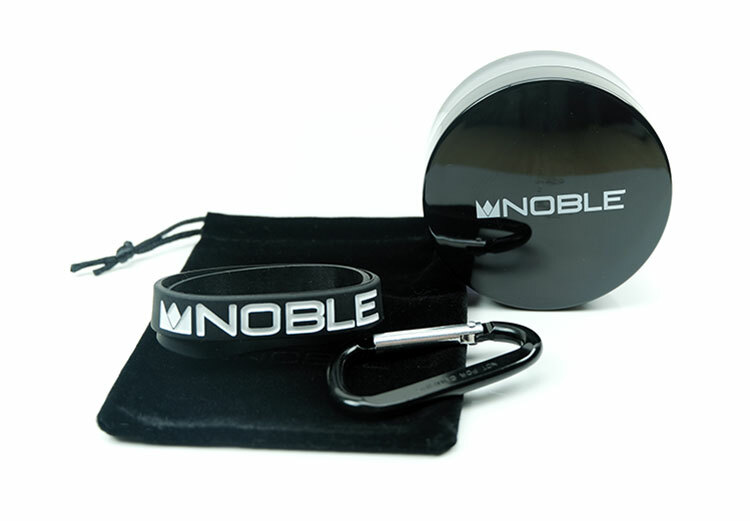 We thank the team at Noble Audio for giving us this opportunity. 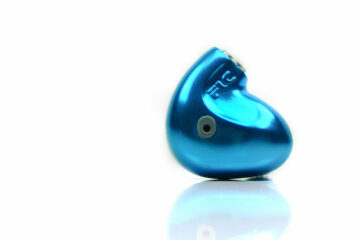 To read more about Noble Audio products we reviewed on Headfonics click here. We broke in our initial impressions about the Khan last December before the Xmas break and it was an exciting moment since it was our first experience with the new piezoelectric type super tweeter technology. Since then, 2019 has become THE year of the stats-infused in-ear monitor with the likes of Jomo Audio, Soranik, LZ, and AAW/Shozy all breaking-out with their own versions. The Khan is billed by Noble Audio as their flagship universal monitor priced at $2399. An indication indeed that the Wizard and his team see this as perhaps their most complex and best sounding product to date. I have tested quite a few Noble Audio creations from their modestly priced Velvet up to the excellent Katana. Not all though, the Encore, for instance, escaped me. However, ranged against the ones I have reviewed I can safely say the Khan is easily Noble’s best offering to date. Gone are the days of insane driver counts, relegated to the backstreets of AliExpress with no-name 21 drivers chi-fi experiments. Nowadays, what surrounds the driver and how they are blended together is just as important. Manufacturers have figured out over the last few years that maximizing what a driver can actually do far exceeds the “more is better” mantra. In the case of the Khan, we have indeed a hybrid of drivers fused into a single shell. Nothing unusual about that in 2019, except this has a blend of 3 different drivers in the same vein as the Jomo Audio Trinity. Noble like to call this a tri-level hybrid. So what is in a tri-level hybrid monitor? In this case, there are a total of 6 drivers. The first two blends are the ‘familiars’ as I like to call it; a single 10mm dynamic driver and 4 balanced armature drivers. The configuration I presume is the dynamic driver for the lows, 2 BA for the mids and 2 BA for the highs. The third is a single 10mm piezoelectric super tweeter as opposed to the dual electrostatic drivers deployed by Jomo and AAW/Shozy. These are two different types of tweeters though they both rely on the piezoelectric effect in order to function. The main difference between the two is that piezoelectric transducers use a ceramic material to receive and conduct an electric charge whereas electrostatic transducers contain a thin metal membrane. The materials & finishing are a departure from the previous metal plate and acrylic body of the existing line-up. It is not quite a “Wizard” build but closer to that with a sleeker custom universal contoured SLA housing, aluminum nozzle, and a modern M3 composite twist on the traditional Mokume Gane metallurgy process for the faceplate. Mokume Gane is a Japanese metal-working procedure that results in a mixed-metal laminate with a distinctively layered pattern. In this case, the M3 composite is a collage or a swirl of black and whites on the Khan and very distinctive looking it is also. You will note also the small dynamic driver port or vent at the corner of the faceplate to allow it to breathe. It is not the most discreet of positions but it does mean your ear is unlikely to ever block it and reduce the performance of the driver. The form factor is also a slight departure from the old unibody shape of the last few years. 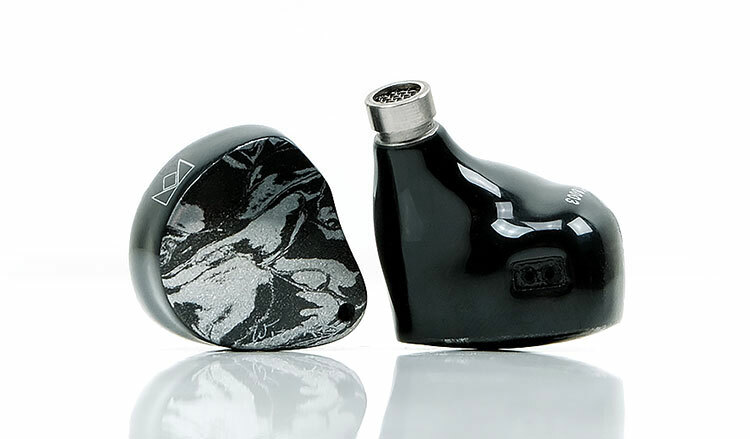 We call it “custom universal” in design for the body, however, the Khan curving is not an aggressive custom universal design like some of the iBasso and Jomo Audio shells. There is enough of a dip, however, to sit comfortably over the crus of your ear’s Helix (ridge around your canal) to ensure there is no pressure despite the minimal contact. The Khan does have a very long nozzle and much of that depth is really to accommodate the mechanics of the dynamic driver and surrounding acoustic chamber with the piezoelectric driver sitting right in the nozzle itself. I also noticed that the Khan’s depth is such that they do sit a bit beyond your ear rather than dead flush against it. The Khan is true to the Noble house design with a set of 0.78mm 2-pin connectors flush to the top of the main body shell. As with most Noble mid-fi to high-end monitors, the Khan’s connector positioning means they are designed to be worn over the ear. The more things change the more things stay the same. I have no issues with that given my selection of cables are almost all 2-pin. However, I doubt you can buy them in MMCX format. Noble has never gone down that route. The cable looks very different to the old plain black Plastics One cable that came on their previous universals. It could well still be the same company with a new image but in any event, it is much more attractive than before with a two-tone black and white PVC jacket and a durable 4-wire SPC tensile braided build. The cable is terminated with a 2-pin 0.78mm memory wired connector termination and a pretty solid gold plated 3.5mm TRS jack. The y-split barrel is an attractive chrome finished aluminum semi-oval barrel which blends in really nicely with both the driver housings and the two-tone color of the cable itself. The cable is finished with a heat shrink wrap but it is not actually retentive memory wire. The cable has a pre-defined shape that bends to accommodate but then snaps back into place once you take it off your ear. Overall, the lack of microphonics or physical noise on the wire is excellent. This is very easy to work with and a superbly quiet stock cable. Now normally I would immediately roll stock cables and during the review, I did indeed. However, this is one of those rare stock 4-wire cables that actually sounds pretty good so do not underestimate its positive synergy with the Khan. It is much better than I expected for impact and detail though a little bit soft sounding compared to some big hitters such as the organic and weighty EA Janus D and the airier and more holographic sounding Leonidas II Octa. The nozzle is quite long from top of the plate to the attractive aluminum finish at the bottom so it is a fairly deep insertion. I also found that the Khan didn’t really sit right into my concha basin like some other designs. Perhaps this is due to the large tip size I like to use preventing the nozzle from going deeper than a smaller tip would allow. The small bass vent will, however, allow a little bit of leakage but overall they do isolate fairly well and the comfort is also above average with the foam tips. The tip selection has changed a little with the launch of the Khan. 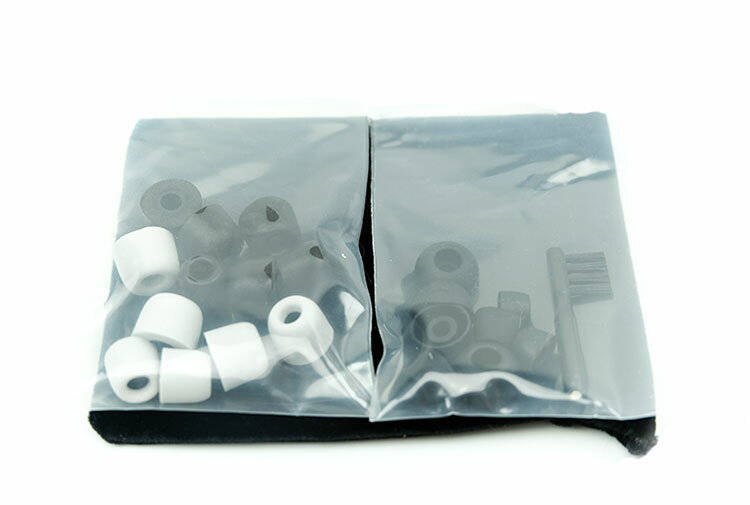 Gone are the dual flange tips and instead we now have two types of foam in black and off-white. Both variations of foam come in small, medium and large. The silicone tips have reduced to a set of super small, small, medium and large single bore black tips. Personally, I am going with foams every time with Khan. I find the silicone tips to be a bit too bright and do not seal on the same level as the foams. The foams also produce a nice thicker timbre and whilst not as bright the body on higher pitched instrumental timbre is more to my liking. They also deliver a bit more sub-bass presence, again to my preference. 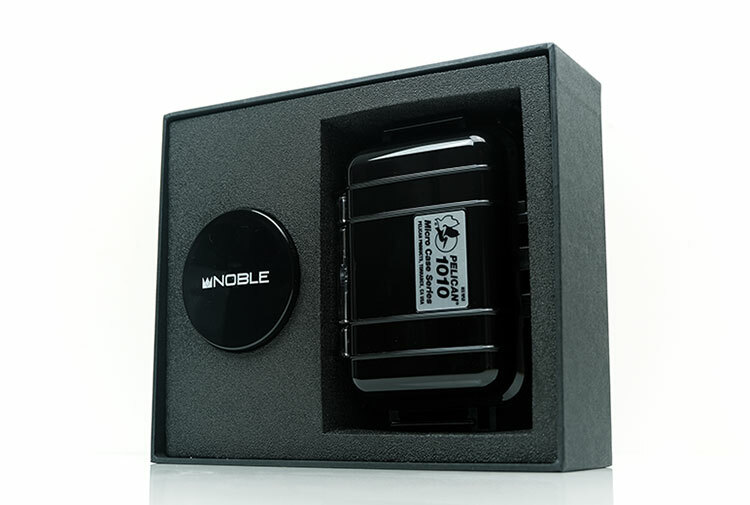 The Khan comes in the now familiar and slightly bigger packaging that any Noble Audio customer will know instantly. For those that do not, this is a medium-sized monitor black packaged box with a patterned finish and Noble branding on the outside. Inside, you get a foam layered presentation cushion on the inside with two carry cases and everything else inside those. Larger Peli case 1010 style carry case with carabiner lock. I actually like that Noble has started to include that little carry case I first encountered with the Massdrop Noble X in 2017. The Peli case 1010 is a superb weatherproof carry case that will give the Khan tons of protection from knocks as well as leave tons of room for cables and tips. The carabiner lock means you can leave it dangling safely from most man bags and rucksacks. The soft pouch is much more discreet but offers next to no protection. The little plastic round case sits right in between and much handier for day to day travel where space is a premium. How does it compare with a18t? Hmm, to be honest, you might find the Khan to have a bit more low-end weight and texture but a slightly slower pace because of the dynamic driver compared to the A18 BA drivers. The top end I find the Khan to have more body but both very articulate. Vocals are a bit more weighted and natural in timbre than the A18 but A18 has tons of detail. How does the Khan compare to CA Solaris from an overall SQ level as well as a SQ / price performance level? Khan’s low-end is a little more neutral sounding. Treble on the Khan has more body. As for price, we do not comment on that, its subjective criteria relative to people’s individual perception of value which differs markedly from person to person. On a technical level, both IEMs are superb but the Khan offers a bit more of a rounded experience and the Solaris a bit more blood and thunder or musicality. Yes, Noble use lighter acrylic materials in their build than Campfire who use more alloys.